This page is a collaborative page to discuss the ongoing SourceDM draft. This effort is already on-going within the Gaia DPAC consortium to allow interoperability between catalogues. 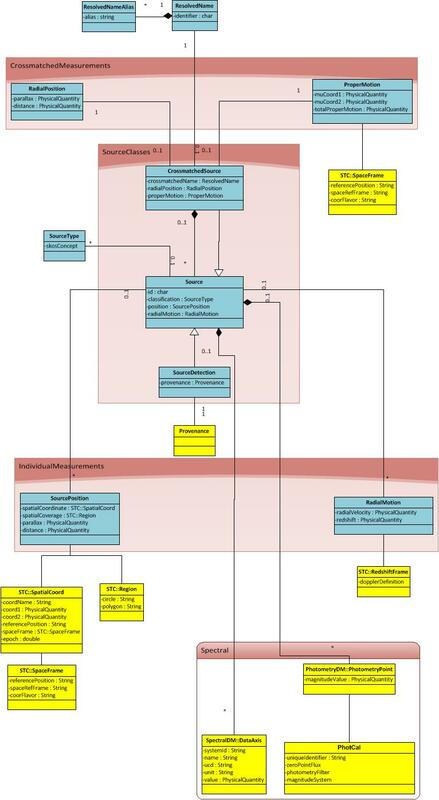 Currently, only a preliminary UML has been generated with the definition of basic metadata and how to connect to other IVOA existing models. Whenever the conections are shown, a full connection from the DM point of view can be considered.